Occasionally, you may encounter a URL that is being mis-categorized in the URL Filtering database. Note: It is not possible to submit multiple URLs at once. An additional e-mail will be sent to you when the request is resolved. Check Point categorization / re-categorization, following customer's request submitted via the URL Categorization page, is performed within 24 hours. There is no SLA for URL categorization / re-categorization submitted via Service Request with Check Point Support. There is no SLA for URL categorization / re-categorization submitted via UserCheck. While your request for a category change is being handled, you can manually override URL categories or create a custom application. 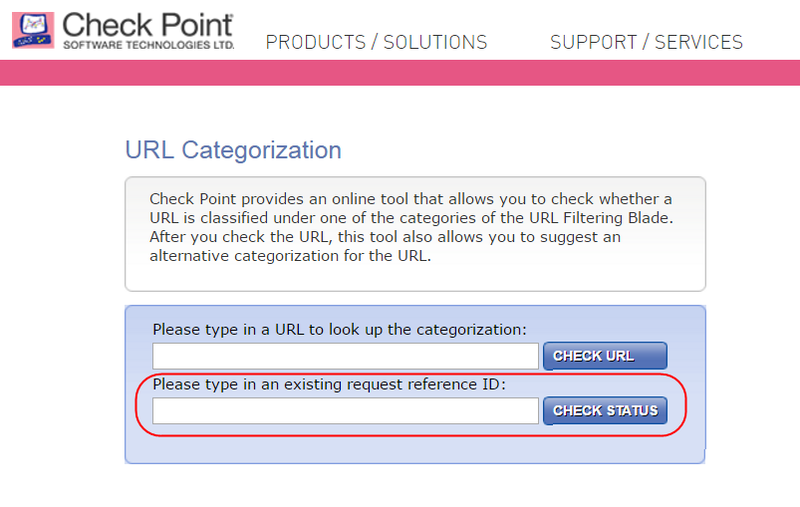 This lets you override the information in the URL Filtering Database and the responses generated by the Check Point Online Web Service. You can create a custom category to use in the Rule Base if there is no corresponding category. Note: If category data in the Application and URL Filtering Database for a URL is not applicable for your organization, you can override the categorization (see instructions below). In SmartDashboard, go to 'Application & URL Filtering' tab. On the left pane, click on the 'Applications/Sites'. On the 'Applications/Sites' page, click on the small triangular arrow on the 'New' button - select 'Category'. Enter a name for the category (spaces are not allowed). Select a color for the category icon (optional). On the left pane, click on 'Policy'. In the 'Applications/Sites' column, click on [+]. In the wizard, filter by name this custom category. Check the box of this custom category object. Install the policy onto the relevant Security Gateway / Cluster objects. In some cases, the category data in the Application and URL Filtering Database for a URL is not applicable for your organization. You can use the override categorization option to update the category and risk definitions of a URL. This definition overrides the information in the Application and URL Filtering Database and the responses received from the Check Point Online Web Service. The Rule Base will use the newly specified categorization when matching rules with URLs. You can use the toolbar buttons to create, edit, search, and delete a categorization entry. On the left pane, double-click on 'Advanced'. On the 'Override Categorization' page, click on the 'New...' button. select New. The 'Override Categorization for URL' window opens. Enter a URL in the field. You do not need to include the prefix http://. If the URL contains a regular expression, then check the box 'URL is defined as a Regular Expression'. Select a 'New Primary Category' from the list. Select a 'Risk' from the list. 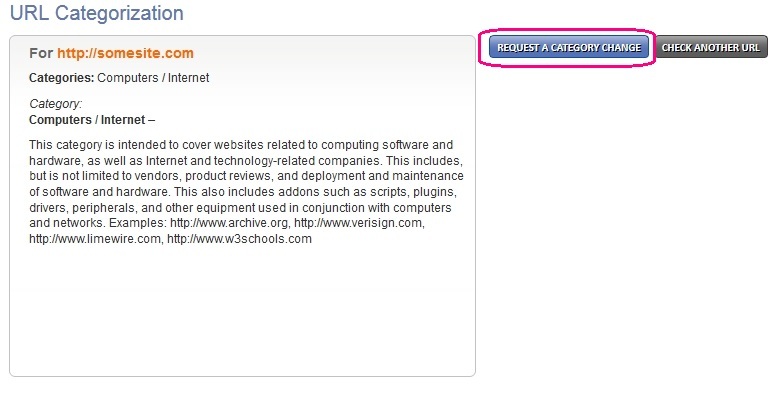 To add additional categories, click on 'Add' button - check the boxes of the relevant categories - click on 'OK'.